Oakland-based rap artist has released six albums and has sold roughly 2 million records worldwide. He recently released his first mixtapes, Crack Muzic Volume 1 & 2 in February. You can visit his website www.pimponrecords.com and purchase the mixtapes from there. For business enquiries please contact us and look out for Volumes 3 & 4 of the "Crack Muzic" mixtape series with Dru Down, Lee Majors, & Rahmean. Dru Down: I've been all over. Everywhere except China. Dru Down: Yeah I've been to Canada a few times. As far as rocking shows, I've never done one, but I've been there cuz I do this pimp thang! You know what talking ‘bout I'm real in the fields. MVRemix: In September of 2006 you dropped your sixth studio album titled "Cash Me Out" in collaboration with your cousin Lee Majors. Tell everyone out there about this project and your upcoming "Crack Muzic" mixtapes? Dru Down: Crack Muzic is all out about taking a mutahfucka-it's going to be inspired by it's some different from Dru Down. People ain't heard me rap over others, been waiting for. It's with my blood cousins, but at the same time there gonna have to love my cousins…which is real family. Dru Down: I'm 35, people don't know. I feel like I'm still 20, like Jay Z. We're out here in the gusto, if you see me you think of that. Hyphy is just another term of mobbin'. As far as the 50s, that's the hometown. That's my base, that' my heart, that's where I was raised. I been here for a lifetime. Everyone have a grandchild when they been here, I been back in forth between counties in La. But you know I stay town bound to the fullest. East Oakland, North and West, that's my town, we all Oakland. MVRemix: Do you ever feel as though you'd get more acclaim and attention if you were based in New York, Los Angeles, Atlanta? Dru Down: Well right now maybe Atlanta, 'cause it's on fire. Right now they on fire. We had that, then LA took it, and New York. But as far as respect, I get respect as soon as I step off a plane. I'm different by my ways, I stay oceaned up, curls, gold teeth, town business all the time. People ain't gona say I'm NY, people know I'm a Cali cat, you know East O.
MVRemix: On a number of your songs you talk about police corruption and police brutality, such as "Bad Boys" among others. MVRemix: Explain the origin of your word "pimpydoism" and what it means. Dru Down: Oh pimpydoism is a mix of everything. That's me, within all the game a mofo got and what goes with it, town business, within family origin of blood line; a pimp. 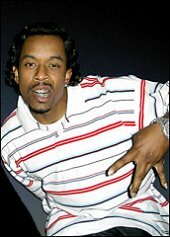 Dru Down: Just fast rapping, Dru Down is typically more slow, but from my album "Pimpin Phernelia" that's how everyone know about Jackrabbit the Bugsy. The fast style of rhyming.